fast-growing present and its fascinating future. It’s so close to your natural oils, your skin almost can’t tell the difference. Because Jojoba Naturals is so similar chemically to your skin’s oils, your skin welcomes it easily and quickly. That’s why it penetrates and moisturizes your skin and hair so well and so rapidly. And it doesn’t leave any oily residue like other moisturizers often do. It can correct and prevent dry skin and has been shown to reduce facial lines within hours. Chances are you’ve never used a beauty aid like it. Jojoba Naturals is pure, organic, natural. Just like you. It’s no wonder that Jojoba Naturals treats your body so well. We treat its source just as well. 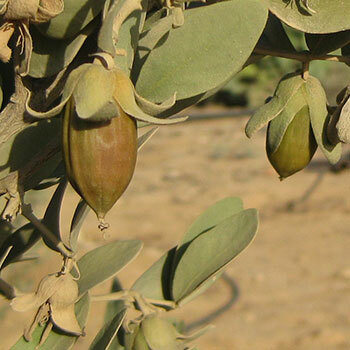 Our jojoba comes from trees in the Near East that are rain-fed, nourished only with organic fertilizers and are never treated with pesticides. The jojoba seeds are hand harvested and washed, sun dried, cold pressed and triple filtered. It couldn’t be any purer. We believe that your body deserves nothing less. Experience Jojoba Naturals for yourself. Helping the land and the people who farm it. The jojoba story is fascinating. 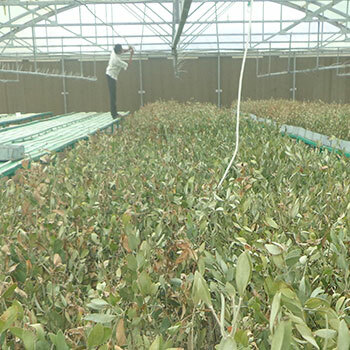 Jojoba Naturals is grown overseas, generally in locations that need economic help. The farms spark economic activity, helped by “jojoba clinics” we sponsor to teach the people how to farm. Land that would otherwise go unused is now productive and the communities are energized in ways that once would have seemed unimaginable. So when you use Jojoba Naturals, you’ll be helping a lot more than your body. Learn more about jojoba and the science behind its wonders. Beyond its use as a superior body care product, jojoba’s unique properties can improve performance in many industrial, medical and dietary products making them more competitive, more salesworthy and more profitable. Click below to learn how jojoba may improve you products, and your bottom line.